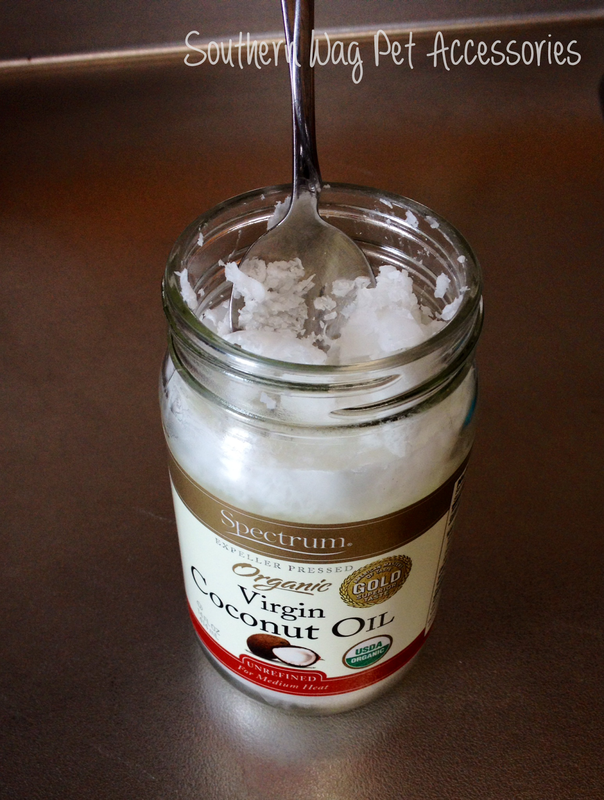 Ok, so we use Coconut Oil at our house for just about everything. On toast, in my hair, as a skin moisturizer and much more. The one thing we have been recently using it for is our dogs. 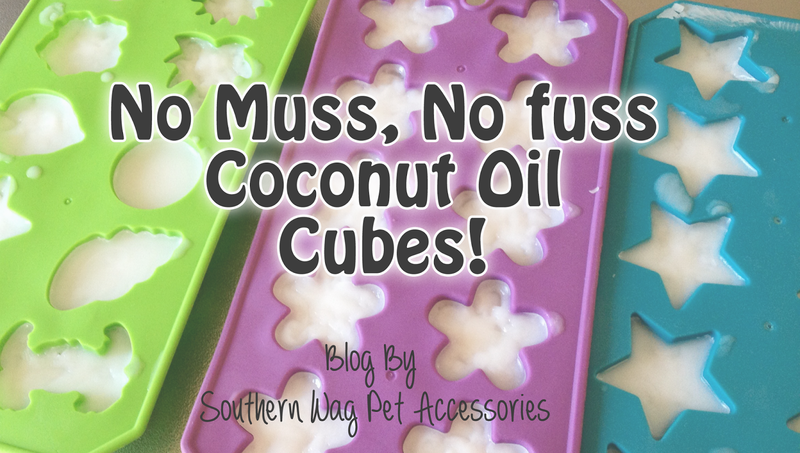 We started giving coconut oil to our dogs for many reason. A few are for their skin and coat, balancing their metabolism and reducing their risk for cancer. To read a full list of benefits please click here to read an article written by The Dogington Post. The only problem I have is how tricky it is to administer. It is either a rock solid mass or a liquid mess! Then I had an idea! Remember all those summer time dog treat blogs we did? We froze EVERTYHING! Pumpkin, yogurt, watermelon and even watered down chicken broth. Well, same concept here. We are going to freeze our coconut oil into individual servings and make it easier to use for everything around the house. 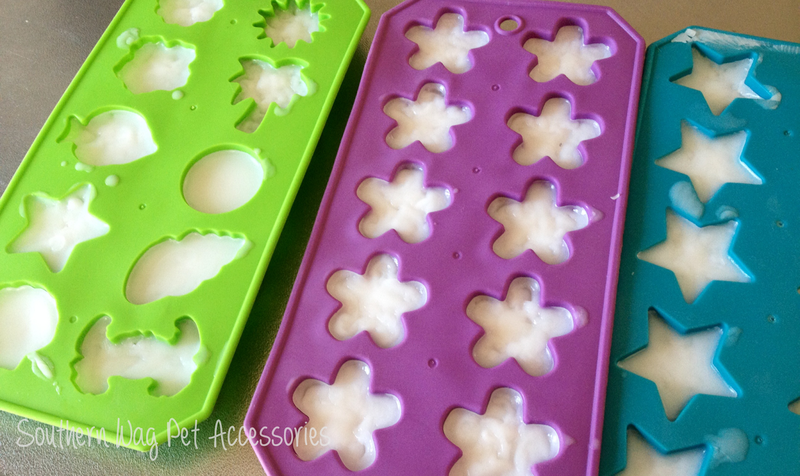 You are going to need a Wilton squeeze bottle and some ice cube trays to start. If you do not have a squeeze bottle then you can use a ketchup/mustard bottle. Next, melt your coconut oil so it is very runny. 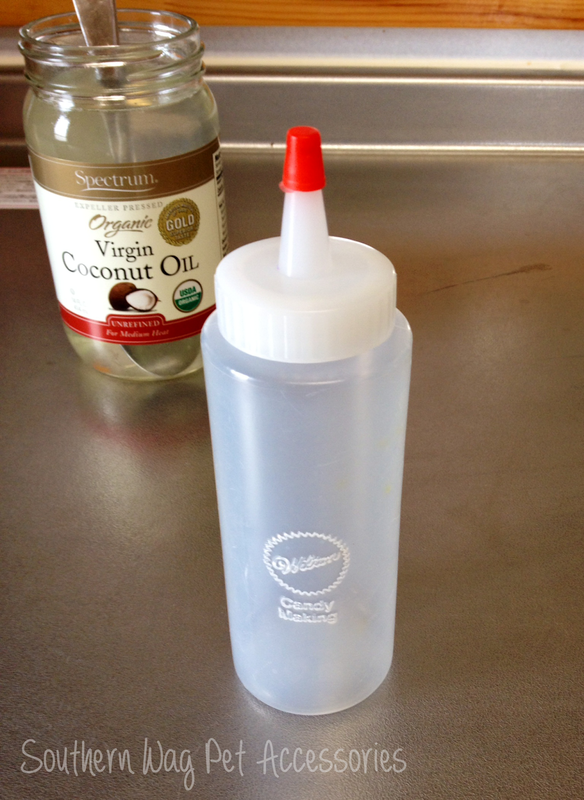 Pour your warm coconut oil into the squeeze bottle. 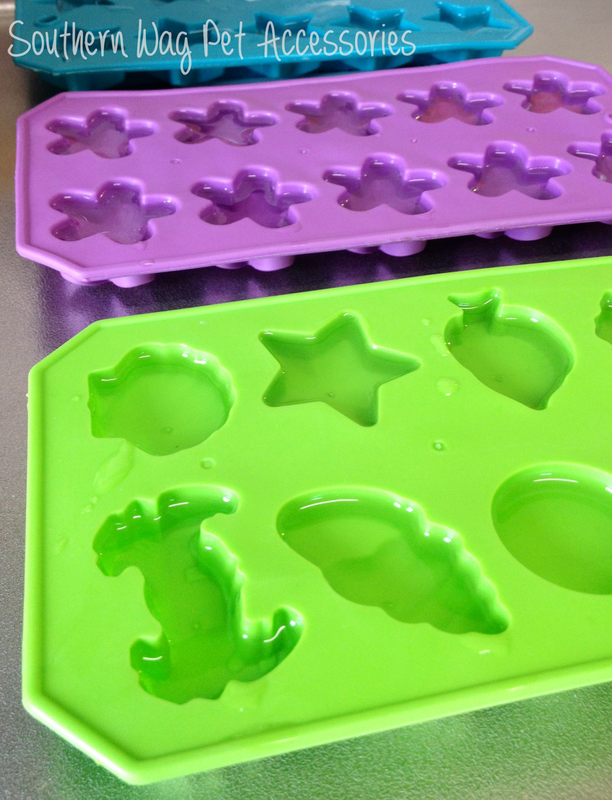 Side Note: it is a good idea to use water and a measuring spoon to see about how much liquid each cube will hold. Each of my shapes was about 1 tablespoon. This information will be handy when you are determining the serving size for your pet. 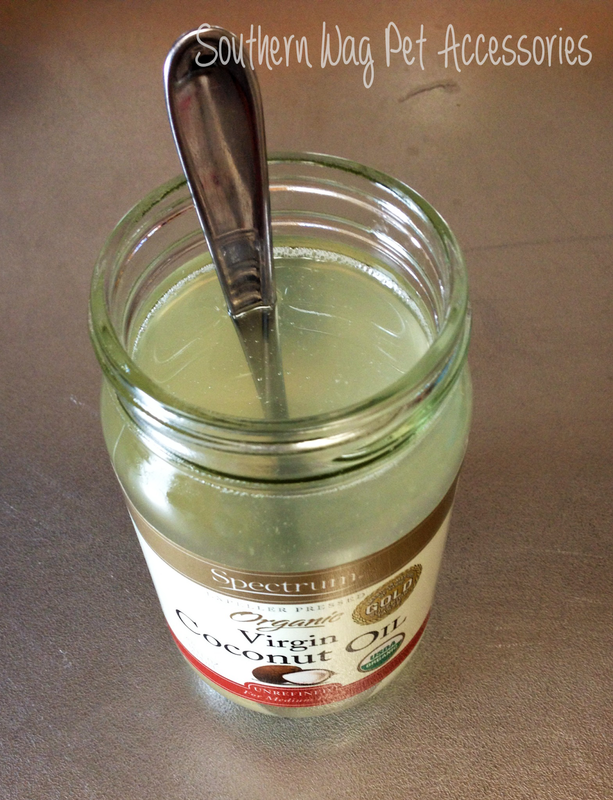 Now that you know the serving size, dump out any extra water and begin filling your trays with the coconut oil. Be careful not to overfill your shapes. 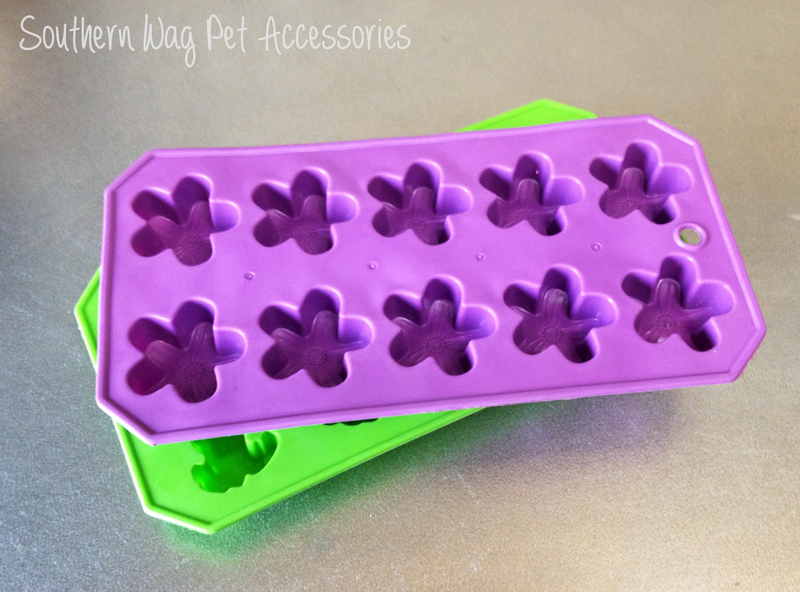 Once you have all your trays filed you can pop them in the freezer for faster firming times. Once all trays are frozen you can push them out and they are ready to go in a freezer style bag and back in the freezer. Recommended serving size for dogs is 1 teaspoon per 10 pounds. Start slowly and work up to the full dose for your pet. 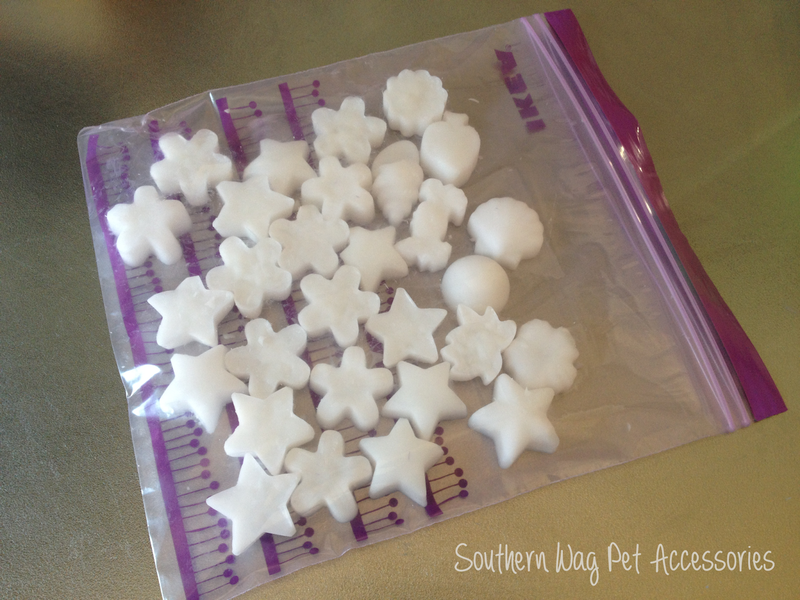 If you have smaller dogs and need to cut these down use a warm, sharp knife and it is super easy! Be careful not to handle these guys too much because the warmth of our hands make them melt a bit! Hope y'all enjoy the simple genius of my blog today! Have a great weekend everyone! Like what you see? Please subscribe to our blog. You will find the subscribe box at the top right of our page. Thank you for such a fantastic blog. Where else could anyone get that kind of info written in such a perfect way.